Барааны дугаар 9780194237932. Categories: OXFORD, Readers. 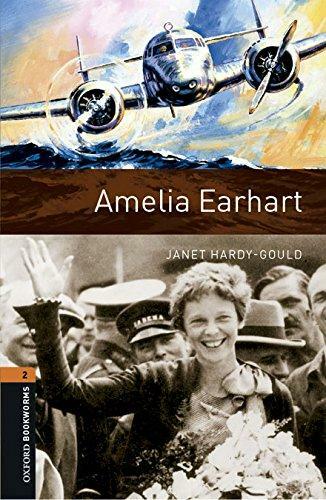 ‘I want to learn to fly,’ Amelia Earhart tells her family one evening. But it is 1920. Flying is expensive and dangerous, and most people think it is for men, not women. But nothing can stop Amelia Earhart, and she works hard to be a pilot. Soon, she is breaking records for flying further and higher than anyone before. She shows the world that anything is possible – for women and not just men. Life is always exciting for Amelia Earhart. At forty-one, she is nearly ready to slow down, but she wants to make one last important flight .